Entering its fifth year, the Automotive News Europe Rising Star award honors automotive executives with a pan-European profile who have driven change, fostered innovation and made courageous decisions. To qualify, candidates should have a minimum of 10 years of work experience, multiple language skills and be 45 years old or younger. A candidate may nominate him/herself or be nominated by a colleague, manager or mentor. Just visit our website www.anerisingstars.com/nominate or click here. 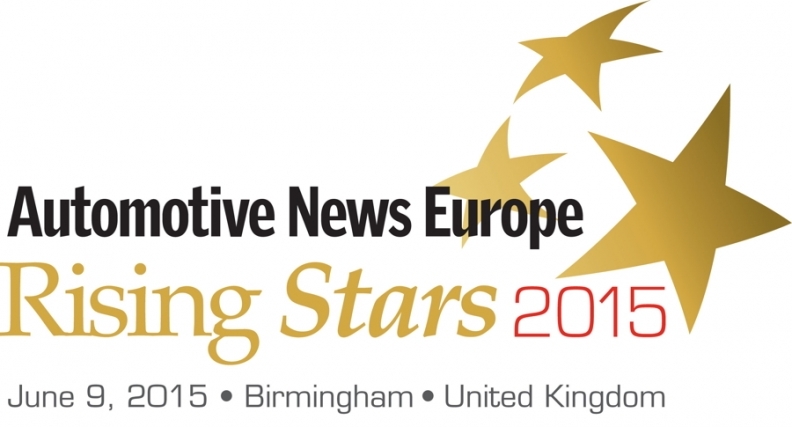 Nominations also can be sent to the Automotive News Europe editorial team. You may nominate more than one candidate. The deadline for nominations is Monday, Feb. 9, 2015. Any nominations received after this date will be considered for the 2015 award. The 2015 winners will be honored on June 9, 2015, during a gala dinner in Birmingham, England. The Rising Stars are possible thanks to our lead sponsor, PwC, and our partnership with Magma People.